Set up the Chemex and filter on the scale. When folded, the thick (three-sided) portion of the filter should rest next to the spout. Heat 400g of water in the kettle to 208 degrees Fahrenheit. 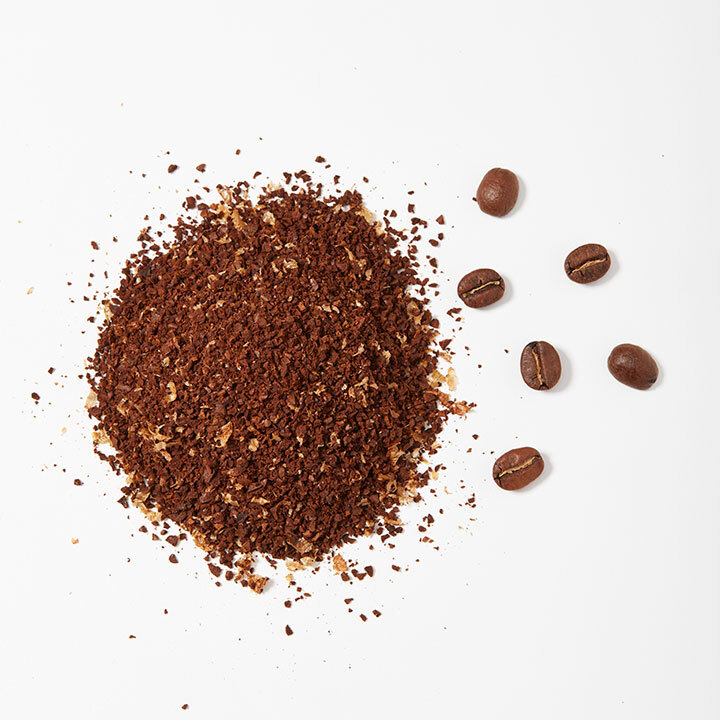 Weigh 45g of coffee and grind on a coarse setting to a coarseness of Maldon salt. Pour hot water over the empty filter to thoroughly rinse. 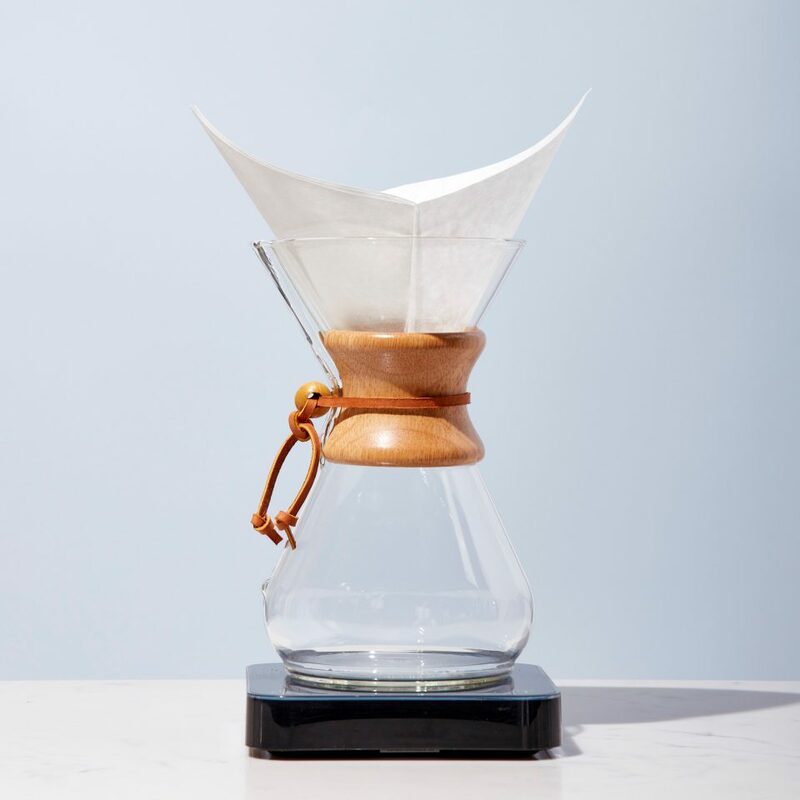 Hold the filter in place and dump out the rinse water through the Chemex spout, then place back on the scale. 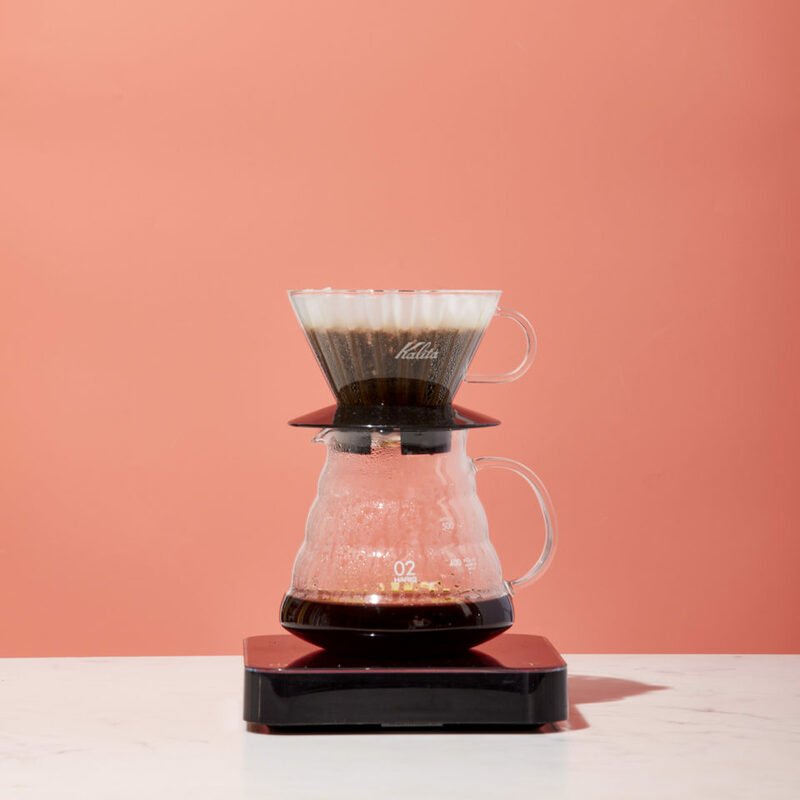 Add the coffee to the Chemex, ensuring that you add 45g of coffee, then tare the scale to zero. Start the timer and add 100g of water to the bed of coffee. When the timer reads :30, start pouring in the center and spiral out in concentric circles taking care not to pour down the filter itself. Continue pouring in concentric circles spiraling back in towards the center. 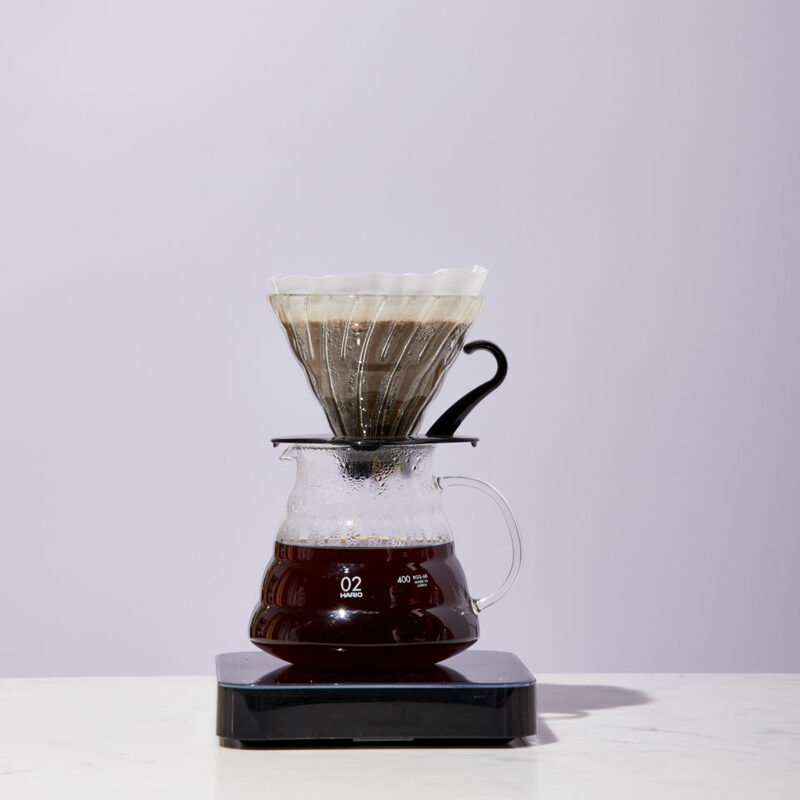 Maintain a steady pour in concentric circles to maintain a slurry height that sits 1” below the top of the Chemex. You should reach 720g of water by 3:30. 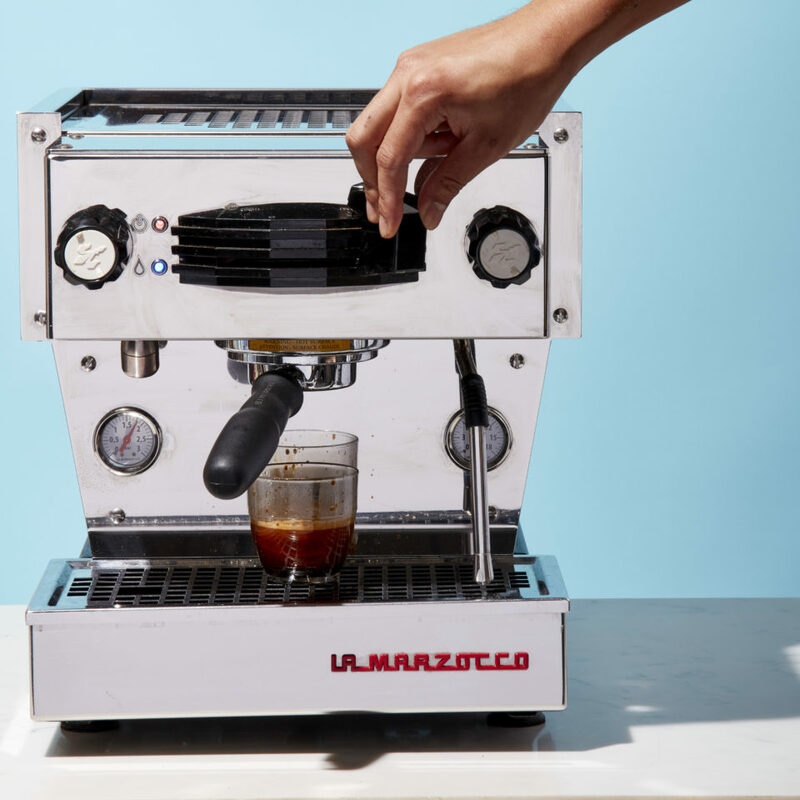 Stare in amazement at your freshly brewed coffee. The drawdown should finish by 5:00.